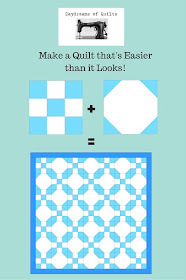 Quilting and sewing blog of a Canadian quilter and pattern designer. Hello quilting friends! Many of you have told me that you would like help with scrap organizing and using up your scraps. I'm with you! So here's an idea I drew up in my EQ7 software that I would like to share with you today. This post contains affiliate links. I have gotten into the habit of organizing my scraps by colour in See Through Storage Boxes . All the red scraps go in one clear see through plastic bin, all the navy scraps in another, all the turquoise scraps in another and so on. I don't bother cutting them to specific sizes although I know some quilters do. The reason I don't do that is because a.) it's time consuming and b.) it could limit me later on with what I can make with those scraps. I consider anything smaller than a fat eighth to be a scrap. Once you have your scraps sorted into colours it will make it easy to create scrappy rainbow quilts. Gather your rainbow scraps and your low volume scraps. If you do not have enough low volume scraps you will need about 5 yards of background fabric. 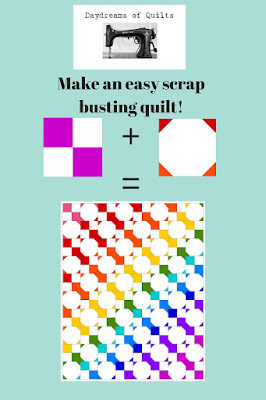 Cut your coloured scraps into 5 inch squares and 2 inch squares. Draw a diagonal line on the back of the two inch squares. Use this graphic as a guide or colour your own guide on graph paper. Sew four patch blocks using two coloured 5 inch squares and two background/low volume 5 inch squares. Refer to the diagram or your colouring sheet to determine what colour to place where. Press centre seams in opposite directions towards the coloured fabric to create nesting seams and then sew the two halves of the block together pressing the seam in one direction. Sew the alternate setting blocks (also known as snowball blocks) using one 9 1/2 inch background/low volume square and four 2 inch corner squares. Again refer to the diagram or your colouring sheet for colour placement. Place each 2 inch corner square face down on a corner of the 9 1/2 inch background square and sew on the drawn diagonal line. Trim 1/4 inch from the seam and press seams towards the colours. Following the quilt diagram, or your own diagram on graph paper, layout the quilt top alternating between four patches and the alternate setting blocks (snowball blocks.) Sew the quilt top together in 10 rows of 8 squares each. Press seams in alternating directions for each row to create nesting seams and then sew all the rows together. Press all row seams in one direction. Blocks are nine inches finished and the quilt top is 74 x 92 inches with a one inch background fabric border. 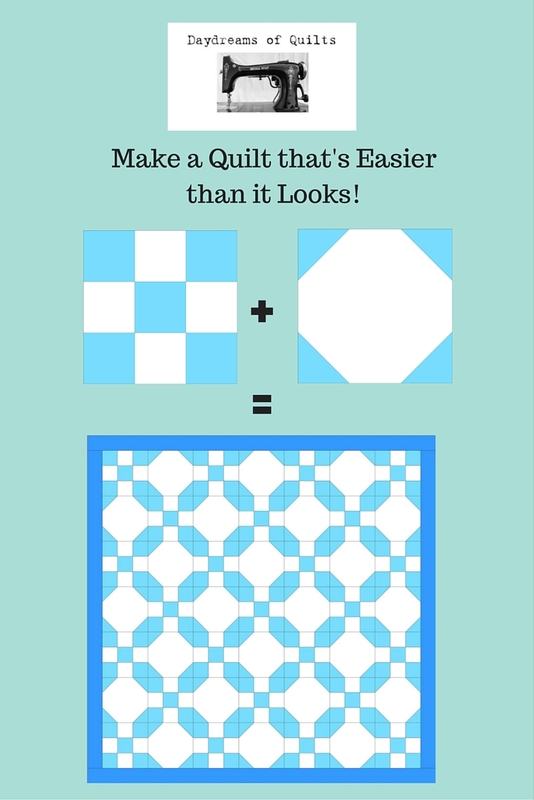 You can make the quilt bigger or smaller by adding or subtracting blocks and rows. Adding borders is also another option to increase the size. 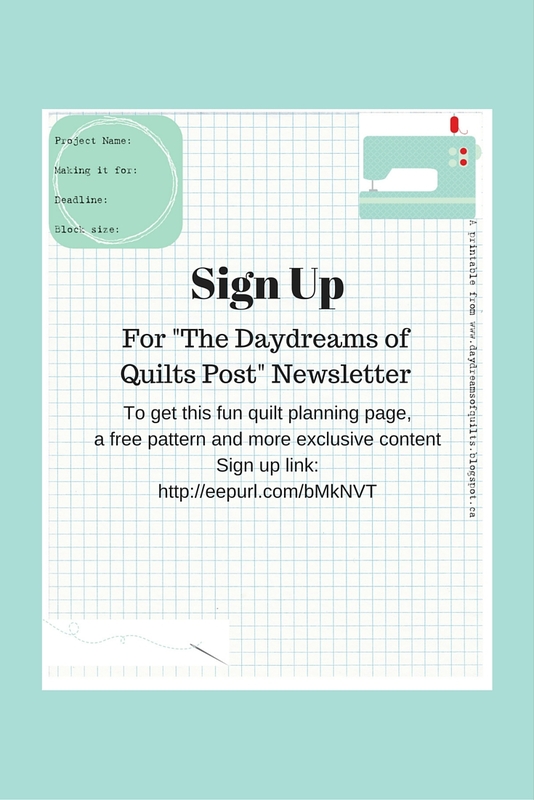 Sign up for my newsletter to receive this fun free printable quilt planning page, a free quilt pattern plus more exclusive content! This "Frog Pond" quilt came out in my newsletter to subscribers on May 17, 2016. 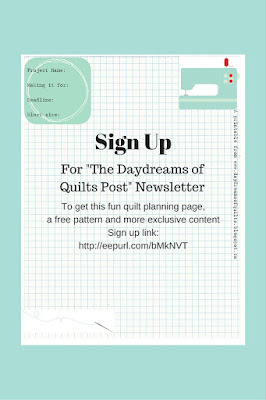 Subscribe to my newsletter for a free PDF download of the tutorial plus a free pattern and quilt planning page. Watch for the "welcome email" after you sign up for all the download links. Links will be in every newsletter if you miss that email. Great quilt. I'm slowly sorting my scraps out and trying to use them before I cut into any more fabric. They are slowly decreasing. What a great scrap busting quilt! It's great to have the rainbow guide, very helpful! I've been saving clear containers and was going to organize scraps by size, but your suggestion to organize by color sounds more practical. Your rainbow pattern is perfect for eating up lots of scraps in a pretty way! I love it Anita! Thank you! Fantastic tutorial! Thanks for the sorting by color advice too. Thank you for commenting. It means a lot that you took the time. :) Commenting is open to registered users to prevent spam. If I am able to reply to your comment over email that is how I will reply. If your comment comes in as "no-reply blogger" or I cannot otherwise email you back I will reply to comments here on the blog. Sometimes comments come to me through the Bloglovin app and in that case I will reply to you there.